Throughout August, Literalab will be asking writers, translators and publishers to comment on both the women writers from their own language they most appreciate having been translated into English as well as those they would most like to see make the leap. 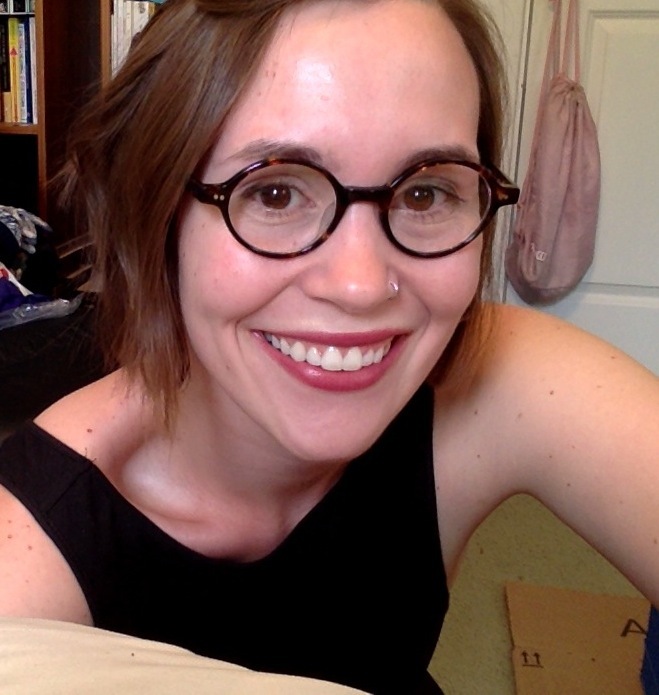 Megan Berkobien is a translator pursuing a Ph.D. in Comparative Literature from the University of Michigan. Her translations have appeared in numerous magazines. Read Berkobien’s translation of Cristina Peri Rossi’s “After Hours” brought out of the archives today as part of Women in Translation Month. Can you name one or two women writers that you are particularly grateful that they have been translated from the languages you translate from into English? Although I first read her work in Spanish, all of my literary encounters with Chilean writer Diamela Eltit have been stirring. I’m particularly happy to see so much of her fiction and reportage in English because it means I can teach it to students from a wide range of backgrounds. Her joint project on what I would un-Romantically call “love in the madhouse” with photographer Paz Errázuriz, Soul’s Infarct, was recently translated by Ronald Christ and is just the kind of devastating to set fire to your bones. I would be remiss if I didn’t mention Mercè Rodoreda, whose stories were the first I ever read in Catalan. I don’t cry often, but Rodoreda’s portraits tend to expose those tender parts. But, damn, she can be difficult to translate. I would wholeheartedly recommend Martha Tennant’s translation The Selected Stories of Mercè Rodoreda, which was published a few years ago by Open Letter. And if you’ve already had your fill of Rodoreda, try Argentinean-born Flavia Company’s Catalan-language novel The Island of Last Truth (tr. Laura McGloughlin). Can you name one or two women writers from the languages you translate from yet to be translated into English that you would especially like to see reaching English-language readers? Generally, I’m happy floating inside my PhD-induced linguistic bubble, but I’m shocked (shocked, I say!) that Carme Riera has yet to be translated widely into English. I would really love to see her short stories take on another life in translation, although having worked from mallorquín, I understand that her fiction might come as a challenge. I’m happy to report, however, that her acclaimed novel In the Last Blue is available in translation by Jonathan Dunne. I’d also add Núria Amat to the list [Ed note: her novel Queen Cocaine, translated into English in 2005 by Peter Bush, was written in Spanish], whose most recent novel Amor i guerra [Love and War] won the blockbuster Ramon Llull prize in 2011. And if my sources are correct, we might be seeing the novel in English soon (fingers crossed! ).